including a science based subject (P.E. and Psychology are accepted science subjects). 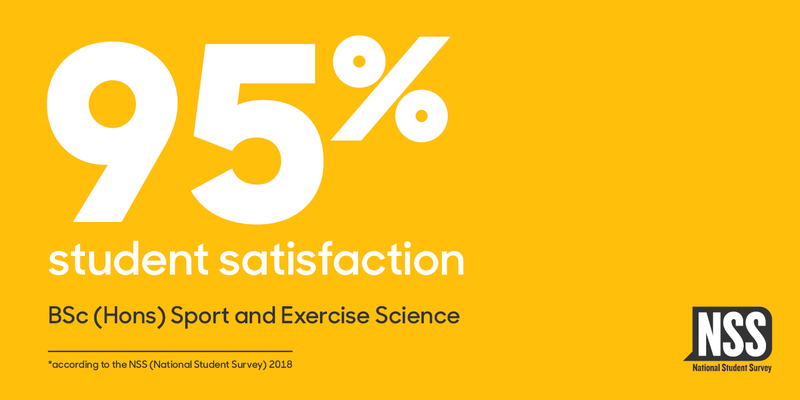 By studying with us, you benefit from our enviable industry connections with elite sport and exercise science companies such as STATSports and Qualisys. We are a global university partner of both brands. We have outstanding specialist facilities in our Human Performance Laboratory, where you can develop employment-ready practical skills, and apply the knowledge you learn on the degree. The course is made up of the three main areas of Sport and Exercise Science: Physiology, Psychology and Biomechanics. Those three main subject areas each split into sport performance science, and clinical exercise and health science. As your course progresses, you can tailor your degree to your preferences, choosing subjects that interest you most, or will give you the best possible chance in your chosen career path. Throughout your degree we support you as an individual, to make sure you make the right choices for your learning and graduate career. Since our state-of-the-art facilities mirror the settings found in professional environments, you leave our University with valuable skills demanded by both elite sport performance science, and healthcare science employers. Indeed, our facilities are used for elite sport science support for the Suffolk FA, Ipswich Town Football Club Academy, Ipswich Basketball, as well as clinical exercise science research with our NHS partners. Some of our recent graduates have secured work for specialist, high-profile organisations, thanks to the expertise attained during their studies. These include Arsenal FC, Papworth Hospital NHS Foundation Trust, and elite sport science support roles in the USA. The opportunities are vast. You could be one of our students who work on real industry research projects, on the final year Dissertation module, which will further enhance your employability prospects. Sport and Exercise student, Jasmin Taylor, has been featured on ITV Anglia following a successful Telemark season and her second World Championship bronze medal. The degree is designed to help you develop the scientific knowledge and practical skills required to work in professional sport performance science, or clincal exercise science. We use a wide variety of teaching, learning and assessment methods. The aim is to challenge you with a variety of experiences in a supportive environment, which will enable you to develop into a very employable graduate. These will include exercise laboratory and field test work, case studies of athlete and clinical patient scenarios, and original sport and exercise research using groups of athlete / patient participants. You will be assessed using a diverse mixture of practical skill observations, presentations, essays, exams and your own original research articles. 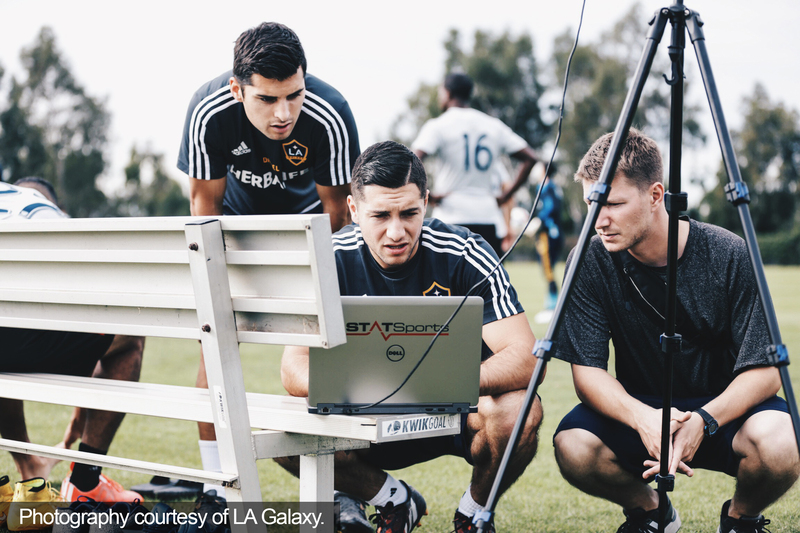 Many of the assessments replicate scenarios you would experience when working as a professional sport performance, or clinical exercise scientist. To appreciate how exercise can improve any component of physical fitness or health, students’ must first understand how the body responds and adapts to an exercise stimulus. Physiology is the study of function and in this module, students will explore the short- and long-term physiological adaptations that occur in response to exercise. An exercise physiologist may be called upon to assess cell, organ and system responses to exercise and this module provides students with the opportunity to gain experience with a range of physiological research techniques. This module introduces students some of the important cognitive determinants of sport and exercise performance, such as: anxiety, self-confidence and mental fortitude and explores how to optimise athletes’ behavioural responses to a range of potential stressors (e.g. environmental factors, coaching strategies, opponents/teammates, etc.). The module aims to support students in developing an understanding of the importance of preparing both mind and body for sporting success via a well developed psychological skills training programme. The role of a sport and exercise psychologist is to understand their athlete’s mental state and assess the behavioural traits that may influence sporting performance. This module introduces students to the core tenants of psychology and provides them with an important steppingstone in developing the psychological skillset necessary to work with elite-level athletes. This module explores the key schools of thought in psychology to better understand the various biological and social factors that influence human behaviour, health and sports performance. Biomechanics can be defined as the study of movement and a biomechanical analysis can provide invaluable information for improving sporting technique, preventing injuries and in developing new and more effective sporting equipment. This module introduces students to the theoretical and applied aspects of sport and exercise biomechanics and allows them to develop the knowledge and skills necessary to effectively evaluate fundamental human movement patterns. A comprehensive understanding of the body’s anatomical features is essential background knowledge for many subject areas within sport and exercise. This module aims to further students understanding of the physical properties of key organ systems, pertinent to sport and exercise science, and explores the structural adaptations that occur in response to physical activity. This module introduces students to the core principles of the scientific method and covers the many applications of science within the field of sport and exercise. The module aims to support students in developing a theoretical understanding of science in sport, whilst providing opportunities to further their knowledge with practical-based learning scenarios. This module will further students fundamental physiological knowledge gained during their first-year studies. In ‘Exercise Physiology’, students understanding is developed by practical-based learning using contemporary physiological assessments in an exercise laboratory setting. Content focuses on developments in research-derived evidence, detailing how molecular, cellular, tissue, organ and system levels of human physiology respond and adapt to sport and exercise stimuli. This module supports students in developing an understanding of the relationship between key psychological attributes and optimal performance in both individual and team sports. Module content is designed to provide students with a detailed understanding of the scientific principles, concepts, theories and practice associated with sport and exercise psychology. This will be related to both sporting performance and exercise participation/adherence for health promotion. Biomechanics is an applied science, and the aim of this module is to further students’ understanding motion analysis by affording the opportunity to design and implement their own small-scale biomechanics research project. Students will gain first-hand experience with a range of biomechanical laboratory techniques, including: force plate analysis, 2D motion capture, and assessments of muscle activity and joint function. The aim of this module is to develop students’ working knowledge of the principles of scientific research, and the planning, design and implementation of various experimental methodologies. Students will further refine their research skills, including: literature searching, preparing academic papers for publication and presentation skills for the scientific, sports and general public communities. For sports and exercise professionals to identify the most effective means of improving athletic performance they must understand how experimentation and numerical analysis drives their profession forwards. This module prepares students for further study and employment by enabling them to understand, interpret and apply many of the statistical techniques they will see in published research articles and allows them to emulate such analyses in their own work. Cells operating at the molecular and biochemical level fundamentally drive and dictate sports performance. A thorough understanding of the biochemical aspects of physical activity is fundamental to understanding how sport and exercise scientists justify their recommendations. ‘Exercise Metabolism’ aims to develop the students’ understanding of the effects of physical activity on the molecular-level function of the human body. Regular physical activity is crucial for good mental health; however, all too often the mind gets in the way of our exercise goals. Thus, the goal of this module is to support students in comprehending and evaluating the psychological influences of exercise behaviour, how humans make decisions to be more active, and how inactivity and sedentariness create challenges in our society. The dissertation module will provide an opportunity for students to develop an area of scientific interest arising from their preferred sport or exercise science discipline. The focus of the dissertation will be a research-based study, where students choose to undertake a project that best suits their interests/career aspirations. The module enables students to utilise practical, intellectual and decision-making skills in novel situations. The dissertation module provides a mechanism for the development of autonomy and self-direction whilst undertaking a problem-solving approach to a research topic. Achieving success in elite sport requires physiological conditioning that enables an athlete to cope with the rigours of competition and training. Module content will develop theory learned at earlier levels of study, requiring critical analysis of performance training methodologies, and a systematic understanding of detailed physiological adaptation theory. Students will be able to apply the knowledge gained from this module by conducting physiological tests for athletes, as would be expected in the work place. These activities will also develop vitally important communication and other professional skills. Physical inactivity, and its associated lifestyle diseases, is a growing public health issue. This module allows students to explore how physical inactivity can lead to a myriad of health problems including pulmonary, cardiovascular, metabolic, and musculoskeletal disorders and diseases. Students will also investigate how exercise may be prescribed in the prevention or rehabilitation of serious health events (e.g. post-operative and myocardial infarction patients). Every athlete is required to excel in an environment that will challenge both their physical and mental resilience. Indeed, an athlete’s psychological state has the potential to help or hinder their final attainment. Mental preparation has many positive implications for sports performance and numerous psychological interventions can be implemented within these environments to create a real and meaningful mental advantage. This module allows students to critically explore the application of these interventions, utilising the most recent theoretical models. Promoting long-term exercise adoption can be a significant challenge, with a large proportion of the population choosing not to adhere to a physically active lifestyle. Applied exercise psychology plays an important role in enhancing motivation to exercise, understanding sedentary behaviour, and examining the psychophysiological benefits of physical active. This module allows students to investigate realistic and effective ways to improving adherence to physically active lifestyle through the whole human lifespan. The Olympic motto “faster, higher, stronger” is often used to explain the continued advancement of human performance in elite-level sports. This unique module allows students to examine sports performance from a non-athlete centred perspective and instead delves into the various ergonomic factors that influence sporting attainment. Students will investigate how advances in the development of sports clothing, training modalities and environmental factors influence performance and to what extent ‘technological doping’ has shaped the world of sport. Biomechanical research methods play an important role in reducing injury risk, maximising the effectiveness of rehabilitation strategies and even in disease diagnosis (e.g., Parkinson’s disease). Clinical exercise biomechanists employ a range of laboratory techniques to assess human motion with a level of precision that is beyond the scope of any other field of clinical exercise science. This module allows students to synthesize and interpret motion analysis data with the scope of developing their understanding of possible corrective strategies to restore movement function and/or reduce the rate of physical deterioration. The purpose of performance nutrition is to ensure our athletes consume the best range of foods to aid their sporting performance. This module will focus on the demands of training and competition in an elite sport setting. Students will explore what a well-designed nutrition strategy consists of and investigate how correct nutrition can aid recovery times and cope with the demands of a long competitive season. This module will consider factors such as food choice, food marketing, nutrition communication, public health nutrition to understand wider issues in nutrition and what drives our behaviour in order to improve health and wellbeing. The module will draw together biological, psychological, social and political factors that influence energy homeostasis in order to suggest strategies for prevention and management of obesity. Our graduates have moved on to fantastic careers. Currently, in elite sport science, we have graduates working for Arsenal FC and Ipswich Town FC, and elite sport science providers in the United States of America. In clinical exercise science, other graduates work for the prestigious Papworth Hospital as clinical and exercise physiologists, and Allied Health Professionals as exercise rehabilitation specialists. Some of our graduates have successful teaching careers, in physical education, biology, chemistry and physics subjects. Your exposure to world-leading sport and exercise science facilities will ensure you and your CV are ‘career ready’. 2019 entry: 120 UCAS tariff points (or above), BBB (A-Level), DDM (BTEC). Applicants must hold A-level in a science based subject (P.E. and Psychology are accepted as science subjects). Applicants are expected to hold GCSE English, Mathematics and Science (or equivalent) at grade 4/C or above. Senior Lecturer and Course Leader Strength & Conditioning. Research Lead Sport Science & Coaching. Our students enjoy brilliant access to world-leading research and professional practice equipment. These are based in our modern Human Performance Laboratory, based right on the waterfront in the James Hehir Building. As well as being a global university partner for both STATSports and Qualisys, for sports global positioning systems and human motion capture technologies, you will enjoy full use of cardiopulmonary exercise apparatus (used to assess cardiac and metabolic function of athletes and patients), isokinetic dynamometers and electromyography (used to assess joint and muscle function in athletes and patients), electroencephalograms and other neurological, biofeedback and neurophysiological apparatus (used to assess a variety of psychological functions in athletes and patients). There are many other types of specialist equipment, and we pride ourselves on giving you access to all of our specialist equipment. You get to personally use everything in our Human Performance Laboratory during your studies (not just watch us demonstrate it). You will learn by doing! Benefit from our partnership with STATSports – the world's leading player tracking and analysis provider in elite sports.